When Splashgirl released their fifth album Hibernation, in February 2016, their star was already in the ascendancy and the Norwegian doom jazz trio had already released a quartet of ambitious and innovative albums. Four became five when Hibernation was released to critical acclaim, and was hailed as Splashgirl’s finest hour and as the musical alchemists continued to combine and experiment with traditional instruments and technology. The big question was, what was next for Splashgirl when they returned with their much-anticipated sixth album? 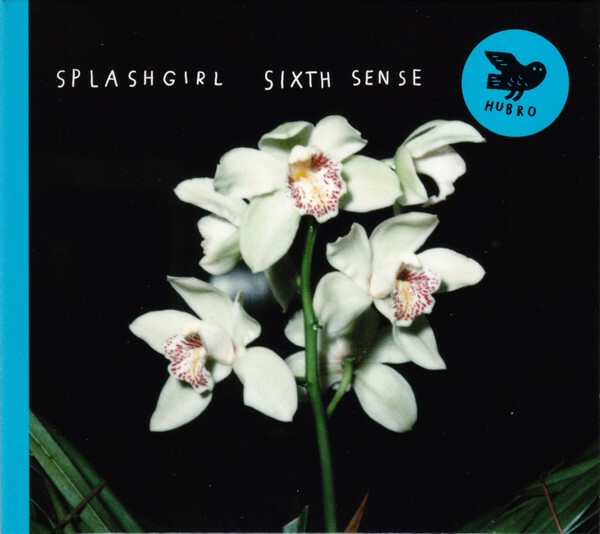 Just over two years later, and Splashgirl recently returned with their sixth album Sixth Sense which was released by Hubro Music. It’s the latest chapter in the Splashgirl story which began fifteen years ago in 2003. The Splashgirl story began in Oslo, Norway in 2003, when Andreas Lønmo Knudsrød, Jo Berger Myhre and Andreas Stensland Løwe decided to form a new group together. This group they called Splashgirl, which was a doom jazz group who took a new approach to music combining traditional instruments and technology to make new, exciting and innovative music. During the first few years, the three members of Splashgirl spent much of their time experimenting in practice rooms and recording studios with their arsenal of musical instruments and technology. Sometimes, the recording studio resembled a laboratory as the musical alchemists deployed drum machines, synths and a tone generator which they combined with traditional instruments to create new, ambitious and innovative music. Eventually, Splashgirl decided to step out of the practice rooms and recording studios that had been their home for so long, and made their live debut. Having their live debut in Oslo,Splashgirl was a popular live draw and were familiar faces on the local live scene. 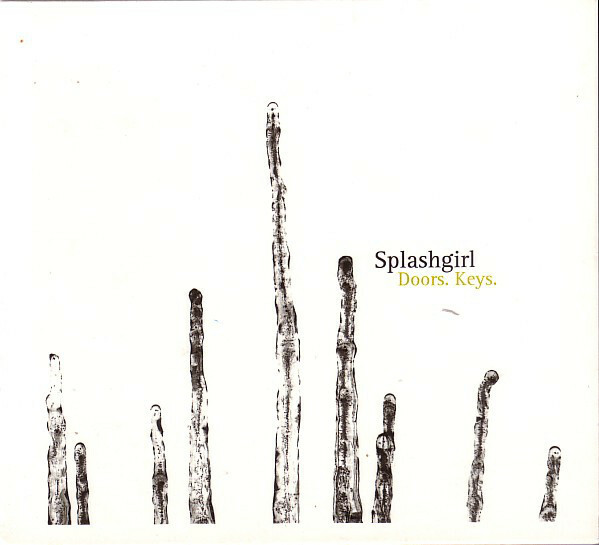 By then, Splashgirl had just completed their debut album Doors. Keys. 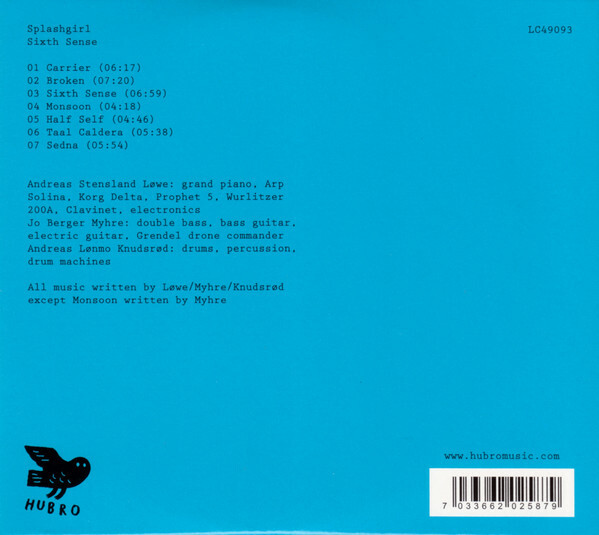 It featured nine new compositions by Splashgirl which were recorded at Bugge Wesseltoft’s studio Bugge’s Room, in Oslo. Splashgirl had also decided to produce their debut album, and enlisted the help of their musical friends to record what became Doors. Keys. This included bass clarinetist Lars Holmen Kurverud, tenor saxophonist Joel Wästberg and violinist Sebastian Gruchot who all played their part in the sound and success of Doors. Keys. When Doors. Keys. was released in March 2007, Splashgirl’s debut album was well received by critics, who forecast a bright future for one of the newest names in Norwegian jazz. For their sophomore album Arbor, Splashgirl penned nine new tracks which were recorded at Biermannsgården, Oslo, between the ‘1st’ and ‘4th’ of May 2008. Joining Splashgirl who took charge of production were multi-instrumentalist Lasse Passage and Anders Hofstad Sørås on pedal steel. The two guest artists augmented Splashgirl’s considerable skills on this sonic adventure on Arbor, which was released eighteen months later on a new label Hubro Music. When Arbor was released by Hubro Music in November 2009, the album caught the imagination of critics and marked the coming of age for Splashgirl. They had released an album of ambitious, groundbreaking and innovative music which was the perfect way to launch a new label. However, little did anyone know this was the start of the rise and rise of Splashgirl and Hubro Music. Buoyed by the success of Arbor, Splashgirl headed to Pressure at Malabar Studios, Oslo, in September 2010. Joining Splashgirl were some of the leading lights of the Norwegian music scene including Lasse Passage, who would experiment with tape and field recordings, guitarist Juhani Silvola, tubaist Martin Taxt, trombonist Erik Johannessen and vocalist Mari Kvien Brunvoll. Together, they helped Splashgirl create what was the best album of their career, Pressure. 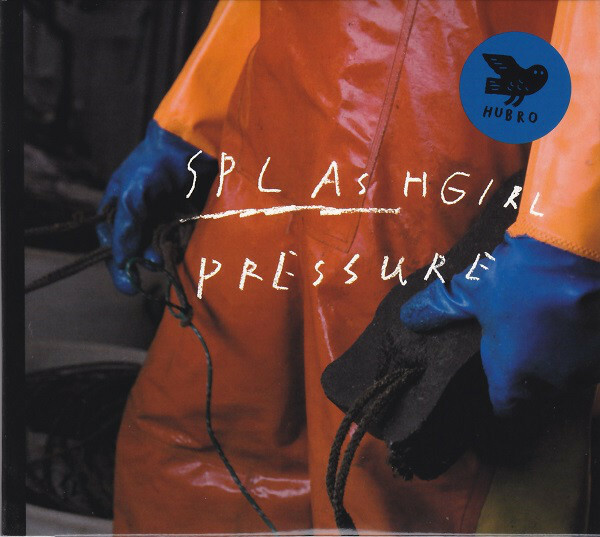 When Pressure was released on Hubro Music in August 2011, Splashgirl’s third album was a much more experimental album, and was released to widespread critical acclaim. Critics called Pressure the most ambitious, inventive and innovative album of Splashgirl’s three album and eight year career. Pressure was also their finest hour, and the album that saw Splashgirl and Hubro Music move into the limelight. Soon, Splashgirl was touring Europe, where their music was embraced by a much wider audience. Meanwhile, Hubro Music were now regarded as a record label that was synonymous with groundbreaking music. Everyone it seemed was a winner, and that would continue to be the case. When it came time to record their fourth album Field Day Rituals, Splashgirl crossed the Atlantic and made their way to the Avast!Recording Co, in Seattle. Between the ‘13th’ and ’26th’ of August 2012 Splashgirl recorded nine new compositions with producer Randall Dunn. He had an impressive CV, having previously worked with Earth, Sunn O))), Marissa Nadler, Black Mountain and The Cave Singers. However, Randall Dunn wasn’t the only new recruit for the Field Day Rituals’ sessions. Joining Splashgirl were Timothy Mason on synths and violist Eyvind Kang. They augmented Splashgirl as they recorded their fourth album Field Day Rituals, which was the eagerly awaited followup to the their finest album Pressure. After thirteen days recording with Randall Dunn, the three members Splashgirl returned home and began planning to release Field Day Rituals as the band celebrated its tenth anniversary. 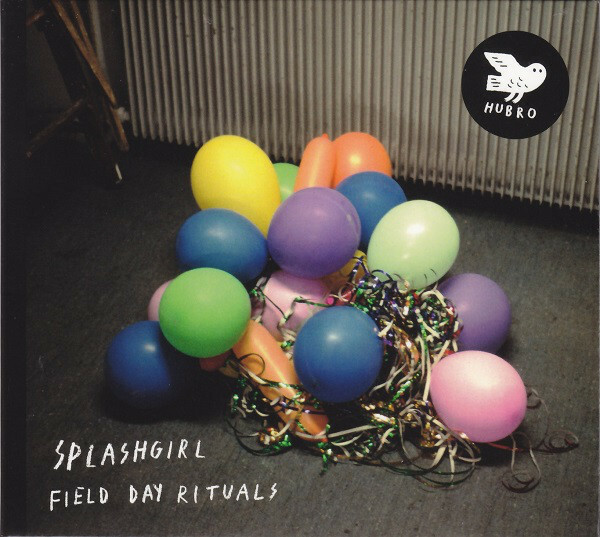 Field Day Rituals was released to critical acclaim in February 2013, with the album being called Splashgirl’s finest hour. This wasn’t the first time critics had said this about one of Splashgirl’s album, but it was something that band would never tire of. Critical acclaim was sweet music to their ears. Critics described Field Day Rituals as an album that featured Splashgirl at their most adventurous and ambitious, where they continued to push musical boundaries to their limits, and sometimes, it seemed way beyond. It was no surprise that Splashgirl were now regarded as one of leading lights of the Norwegian jazz scene. The rise and rise of Splashgirl, had mimicked that of Hubro Music. No longer was Hubro Music the small label it had been in 2009, and by 2013, it was one of the most respected and forward thinking European labels. It released an eclectic selection of groundbreaking music. That wasn’t surprising. Hubro Music’s roster was like a who’s who of Norwegian music. One of the “crown jewels” were doom jazz trio Splashgirl. After the release of Field Day Rituals, Splashgirl began what was one of the busiest periods of their career and toured Europe, America and Japan. This didn’t leave much time to record an album, but somehow, Splashgirl found time to record their fifth album Hibernation with producer Randall Dunn. Hibernation was recorded at the HIjóðriti Studio in Iceland between January the ‘5th’ and the ‘11th’ 2015. Splashgirl brought with them, their ever-expanding musical arsenal and Seattle-based saxophonist Eric Walton a.k.a. Skerik. His tenor and baritone saxophones were the missing pieces of this musical jigsaw as Splashgirl reinvented their music. When Hibernation was released in February 2016, critics realised that musical mavericks Splashgirl had changed direction sonically. Synths, electronics and processing was used much more than on previous albums, and this transformed Splashgirl’s music on their fifth album Hibernation. It was hailed as an ambitious and groundbreaking release from the doom jazz pioneers Splashgirl who had succeeded in reinventing their music on a cinematic Magnus Opus. After the success of Hibernation, Splashgirl began work on their with album Sixth Sense. It would eventually feature seven tracks, including six written by the three members of Splashgirl. The other track Monsoon, was written by Jo Berger Myhre. The seven tracks that later became Sixth Sense were recorded in two studios. Splashgirl had recorded their previous album Hibernation at Hljoðriti, Hafnarfjörður, in Iceland, in January 2015, and also recorded part of Sixth Sense. However, the majority of the music on Sixth Sense was recorded at the Kennel Collective, Oslo, during January 2017 and this time, was produced by Splashgirl. At the Kennel Collective, in Oslo, the three members of Splashgirl began setting up their ever-expanding musical arsenal, which they would put to good use on Sixth Sense. Drummer and percussionist Andreas Lønmo Knudsrød brought with him various drum machines, while Jo Berger Myhre unpacked a double bass, electric bass, electric guitar and Grendel Drone Commander synth. Meanwhile, Andreas Stensland Løwe prepared to play a Clavinet, grand piano, Wurlitzer 200A electric piano and Arp Solina, Korg Delta and Prophet 5 synths on Sixth Sense. When the recording of Sixth Sense was complete, it was mixed by Johnny Skalleberg at Amper Tone, Oslo, March 2017. Seven months later, Espen Høydalsvik mastered Sixth Sense at Tinnitus Mastering, Oslo, in October 2017. Now Splashgirl’s much-anticipated sixth album Sixth Sense was ready for release by Hubro Music in early summer of 2018. Critics were in for a surprise when they heard Sixth Sense, which marked a change of direction from Splashgirl. They took a different approach to composition and recording during the Sixth Sense sessions and played with a freedom and invention as they honed, sculpted and manipulated the new and exciting music on this carefully crafted album. It saw Splashgirl attempt to record an album that had something that many modern albums lack…a wide dynamic range. Splashgirl wanted the widest possible dynamic range as possible on Sixth Sense, so that listeners could hear the extremes of the audio spectrum. This Splashgirl succeeded in doing, and thanks to talented a mixer and mastering engineer Sixth Sense is a stunning sounding album that documents the next chapter in their story. A piano probes and is played slowly and deliberately on Carrier creating a moody, dramatic and cinematic backdrop. Soon, it’s joined by a standup bass which proves to be the perfect addition. It’s augmented by bursts of drama before the drums enter and are played with urgency as ethereal synths appear, only to disappear and be replaced by the type of synths that were a feature of many Berlin School albums. They sit atop the driving rhythm section as the drama and tension builds, and briefly, the bass joins forces with the synth and plays a leading role. Later, when the arrangement is later stripped bare, the moody, ruminative piano takes centre-stage and is augmented by percussion and leftfield sounds as this carefully sculpted, genre-melting cinematic track reaches a crescendo. As a standup bass and piano combine and play slowly on Broken as drums click in the background. This isn’t a traditional jazz trio. Instead, this is post jazz and Splashgirl are keen to experiment as they combine jazz’s past and present to make the music of the future. Meanwhile, the piano is played hesitantly and tugs at the heartstrings, as the standup bass is played with the utmost care and compliments its sound. Sometimes, a synth reverberates and buzzing sound is introduced. Later, the piano is played with an urgency as what gusts of wind blow and a bass synth provides the heartbeat. This adds to the drama which continues to build as sound sculptors Splashgirl continue to paint pictures with their music which is rich in imagery. Sixth Sense opens with siren call of a synth, that sounds as if it’s replicating a foghorn warning ships of impending danger. Meanwhile, drums are played slowly and subtly, but soon, are played firmly and more of the kit is used. Then at 1.16 it’s all change, and it’s as if Splashgirl have been asked to write the score to a blockbuster movie as the arrangement scampers along. Retro synths join forces with the rhythm section who drive and power the arrangement along. Midway through the track the arrangement becomes understated and just flourishes of piano, synths strings, a drone and later drums are added. Still the music has a cinematic sound and later, the music become melancholy and ruminative as the arrangement dissipates leaving just a memory of Splashgirl at the peak of their powers. The introduction to Monsoon is big and bold, with a dramatic, filmic sound that is omnipresent throughout a track that lasts 4.24. It’s without doubt one of the highlights of Sixth Sense and is further proof that Splashgirl could forge a career writing soundtracks. Plink plonk keyboards opens Half Self before it’s joined by a buzzing droning synth and drums that add a degree of drama. This time though, there’s more of lo-fi sound, but this proves just as effective as Splashgirl draw inspiration from avant-garde, electronica, experimental and library music and combine this was Nordic Wave and post rock. Synths are used heavily throughout this carefully honed track, and are augmented by processed drums and a guitar. Sometimes, it sounds as if the guitar has been played with a bow and this produces a dark, eerie sound. Other times, effects are added to the guitar and it reverberates and glistens. Later, the effects-laden arrangement shimmers as musical alchemists and sonic sculptors Splashgirl continue to reinvent their music. Washes of droning Berlin School era synths open the filmic sounding Taal Caldera as explosions punctuate the arrangement. Meanwhile, synths add a ruminative backdrop as if reflecting on the folly of war. Soon, shimmering synths seem to offer hope, while the bass probes and is joined by percussion, a thoughtful sounding piano and sci-fi sounds. Later, the arrangement becomes understated and just the ruminative piano is joined by a synth which provides a contrast as this thought-provoking filmic soundscape draws to a close. Just a lone piano opens Sedna which closes Sixth Sense. It’s played slowly and deliberately with space being left which adds a degree of drama. Soon, buzzing and siren synths join with the drums and splashy cymbals as the arrangement builds. Still, the piano is played slowly as the arrangement chugs along and eerie ‘strings’ add a degree of darkness. Not for the first time, the piano sounds as if it’s been inspired by Kraftwerk. When it drops out an acoustic guitar is played tenderly as synth strings sweep and after the darkness and drama a beautiful, understated soundscape takes shape. It closes Sixth Sense on a high and is a reminder of Splashgirl’s talent, versatility and ability to innovate and reinvent their music. It was never going to be easy for Splashgirl to followup Hibernation, which is regarded as the finest album of their career. However, after a recording sessions in Iceland and in their home city of Oslo, Splashgirl had completed their sixth album Sixth Sense. It’s a stunning sounding album with wide dynamic range that is lacking in many modern albums. However, Sixth Sense is best described as a genre-melting, cinematic album from one pf the leading lights of Norwegian music…Splashgirl. During Sixth Sense, Splashgirl combine elements of ambient, avant-garde, Berlin School, electronica, experimental, improv, jazz, Krautrock, musique concrete and post-rock, while drawing inspiration from the Kraftwerk, Tangerine Dream’s synth driven music and Weather Report circa Black Market. There’s even a nod to the soundtrack to Ridley Scott’s classic film Bladerunner on Sixth Sense which is a cinematic album that is rich in imagery. To create a cinematic album like Sixth Sense, Splashgirl deploy combine acoustic, and electric instruments with technology and deploy a variety of effects. However, unlike some groups who have turned their back on acoustic instruments, Splashgirl continue to use them throughout Sixth Sense. Especially on Sixth Sense’s opening track Carrier, which is the start of the start of Splashgirl’s captivating and innovative adventure in sound. It continues over the next four soundscapes with the music veering between understated and minimalistic to dramatic, multilayered and full of sonic surprises before Sedna which bookends Sixth Sense. ← RANDY MEISNER-ONE MORE SONG AND RANDY MEISNER.